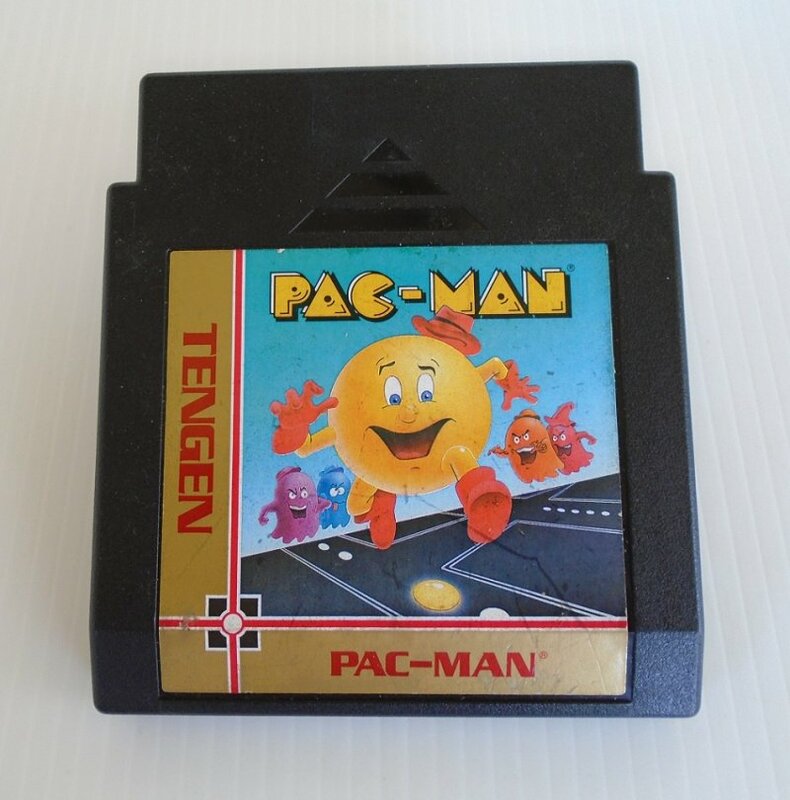 NES Nintendo Pac-Man game cartridge made by Tengen. One of the most popular games ever. Chase and be chased by ghosts. Tengen made various game cartridges for use with the original Nintendo NES system. This one, Pac-Man is one of the most popular games of all time. In this game, Pac-Man is being chased by 4 ghosts, namely Blinky, Pinky, Inky, and Clyde. If they catch him, Pac-Man will lose a life. But, if Pac-Man can make it to one of the four corners of the maze and eat the energizer dot he can turn the tables and eat the ghosts. As long as he's blinking with energy he can get them. The idea is to get them all, score points, and move on to the next round. This is a vintage used game. It was not my game. I purchased a few different Nintendo game cartridges at an estate sale. But I can say I've spent thousands of hours in the past playing Pac-Man and it was always my favorite. Buyer to pay USPS First Class Mail Parcel charges of $4.95. Delivery is from Arizona.